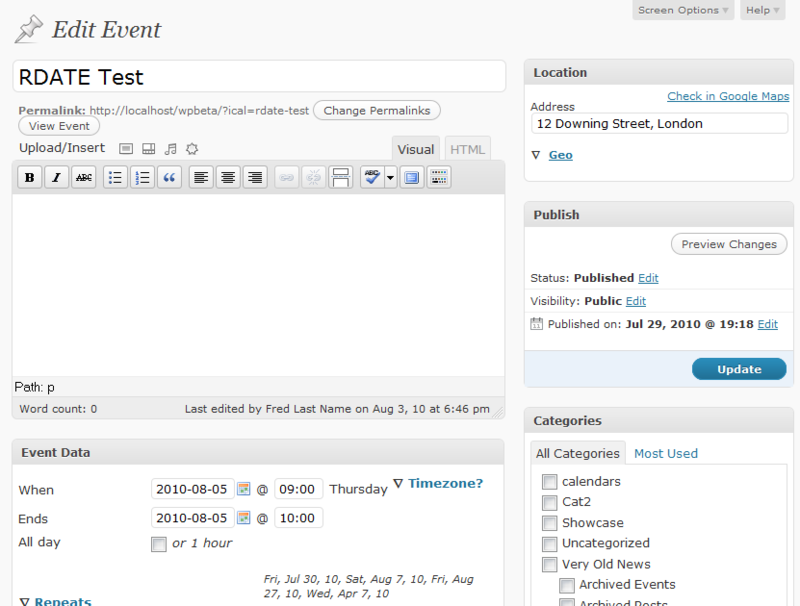 The amr-events plugin offers a number of ways to specify location data when you create an event. 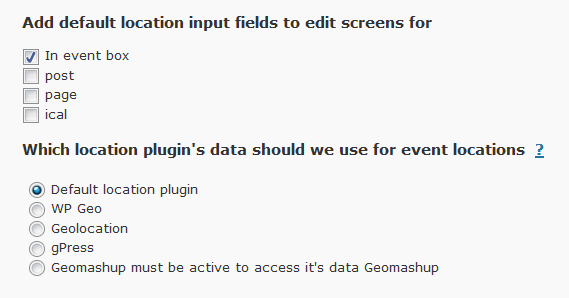 The “in event box” option will show the location fields below the basic event data, and before the repeating data. 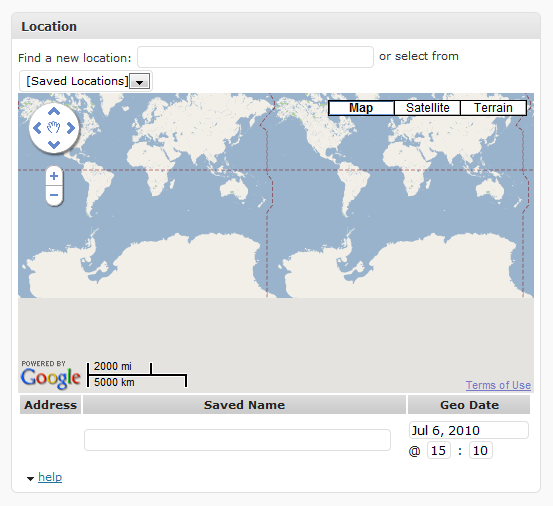 It can be as simple as an address field, or you can open up the geo box and enter the latitude and longitude. 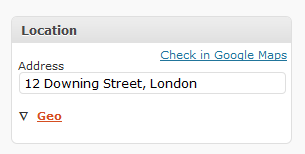 On a per event (or post) basis, the event info can show a map link, based on the address or the geo tag, or the of course the ical events list can offer map links based on the event location data. 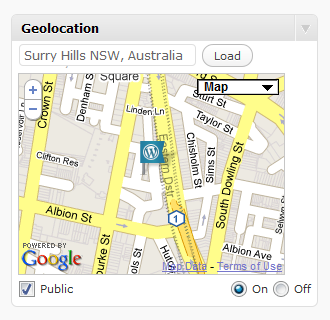 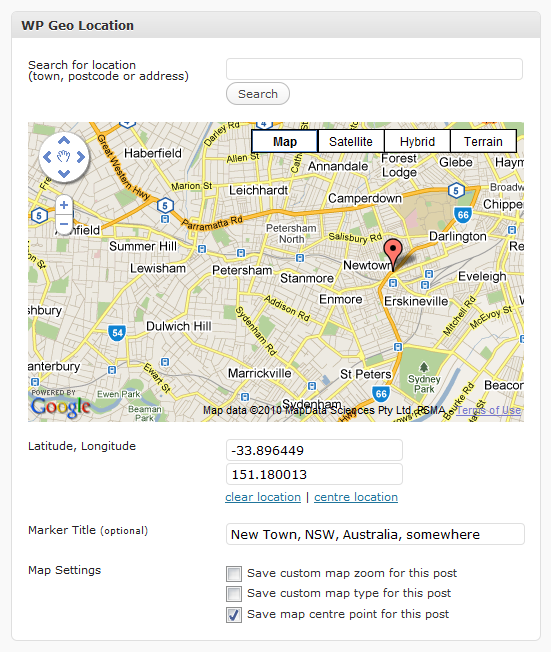 Once an address has been saved, the plugin will offer a link to check the google map lookup. 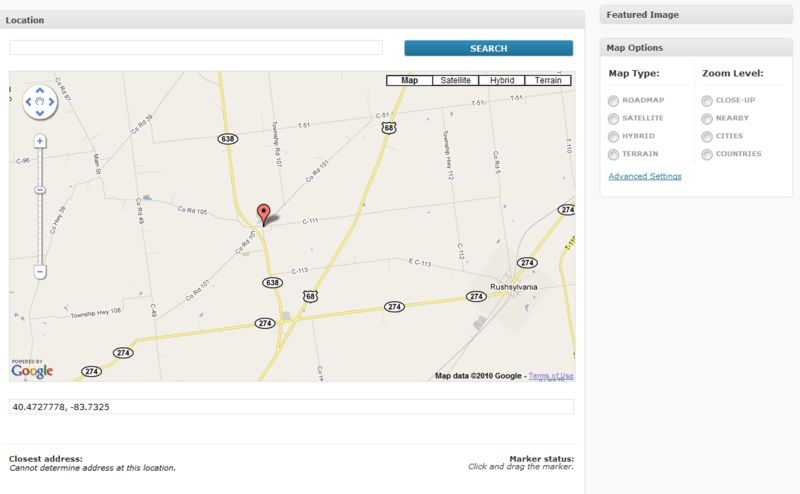 Add more address information (or geo tags) to finetune the map lookup.